Is this... guitar actually a Custom Shop project, or just something done to a Washburn guitar? I'd have banked on the latter, except that the control cavity was obviously carved with this design in mind. Other than having Washburn neck plate, this guitar has nothing to do with Washburn. It looks to me like the thread a while back, were the art school lady let kids work on things, then sold them on ebay. Tom. This is not a homemade guitar. I'm the guy with the mate to this guitar. I did not know there were 2 of them, there may be more. I got mine from the fellow who placed the factory order. For all I know it was him that gave the idea to Washburn. I admit to what I do not know about. A smart guy once said long ago, 'there are more things in the world than you can think of'. Incredible how you fellows who have never seen the guitar and know nothing about it can come to the conclusion the guitar is homemade. It would be quite an accomplishment to produce a guitar like this in a factory let alone home. Aside from the standard Washburn USA markings there is other proof that the guitar is not homemade which I will show to anyone who comes to view the guitar. I assume you do understand that a custom order might be something like say different pickups or might be something like a completely unique guitar and everything in between. So before you BRAINIAC GURU's out there advance a false and completely unsupported statement like 'homemade' perhaps you might think about how big the world is, how many things are in that world and how much you do not know about. Come on Over and take a Look before you make more false, misleading and incorrect statements. Next time it might be your uncommon guitar that some unthinking person is condemning. CMI, KAMICO and the rest of the Chicago company's names (Washburn is a part of this) have been producing a wide variety of music items for a long, long time. They did and do a lot of different things. Some are well known and some are not. Some people know about some things, others know different things, some things are known by very few people, some things are known by many people. In the pics were does it say USA or custom shop? I see you are upset, so I am asking nicely. Tom. Just pointing out you missing that there are at least 3 of these guitars out there. You quite plainly stated you had found the same guitar. Mine is in Pine Bush, NY - the one you found is in Hazelton, PA - two completely different places, 2 completely different people, 2 of the same (as you put it) art class homemade guitars. Indeed there are a number of these Washburn Custom Shop guitars out there and you (who has presented yourself as some level of expert) made a flat, completely unsupported statement which was completely and utterly wrong. What you wrote in your last post is indicative of a pattern here - you do not fully read things like the post I made, the ads in craigslist and ebay (or perhaps do not understand what you read). And in no way did I indicate, mention or otherwise state that I would display the identifying characteristics on the internet. What I did say was anyone who wants to come view the guitar can see the identifying characteristics as well as the original paperwork of the initial purchaser. What you are interpreting as upset is an attempt on my part to not come to a conclusion regarding your mental abilities. I am being polite and direct while still maintaining a connection with the world outside my own brain. Being as I do not know you and have never seen you I cannot make any clear judgments regarding you on any level. You, on the other hand, do not seem to have any trouble at all making erroneous statements and forming incorrect opinions. You may come to my home or meet me within 50 miles and afterwards you can personally apologize to all the people you misinformed. Afterall it was you who plainly and clearly stated you had found my guitar on eBay when you did not - you who in writing said it was an art class homemade guitar. I have no desire whatsoever to take away the attention and position you hold here in this forum. What I am attempting to do is get you to do some actual thinking instead of jumping to unsupported conclusions. If you are giving another person advice you had better be sure it is correct advice. or Perhaps you do not care - there is no way for me to be able to know that. Just like there is no way for you to be able to know that my guitar is not a Washburn. I hope you do not interpret my direct and logical writings as upset, just like I won't interpret your response as a means to continue your status on this Forum. COME ON OVER! You will find me to be an easy to deal with, honest person. I don't mean to be rude or anything, but as far as i know Washburn has not ever produced anything as eccentric a design like the 'Red Eagle' you have and as you say there are 3 out there... Moreso, Washburn has Wing Series - http://vintagewashburn.com/Electrics/Wing.html - with theme of birds of prey, namely: Eagle, Hawk, Falcon, Raven, etc... They seldom name guitar from different series with the same name, unless it is a reissue... let us face it, you like Washburn the same as we do, in your long search of Washburn History, have you ever come across a guitar manufactured by Washburn / Lyon that is similar to your electric guitar. As you stated, it is a Custom created... We just ask you provide a COD 'Certificate of Authenticity' from the Washburn Master Builder who made this guitar. Sorry if i am a sceptic but nowadays Washburn guitar parts can be bought and slapped on any guitar body + neck and sold as Washburn.. I have assembled guitars before and it is easy to put them up as original guitar, it is not right... I am sure you know of Fender partcaster, and Squier with Fender waterslide are being sold as Fender guitar... sometimes the seller bought a partscaster stratocaster or telecaster without knowledge that it is not originally paired body + neck or a Squier with 'Fender' waterslide and he is re-selling as a Fender.. it happens all the time. Tom do not mistake how I presented the designed to be stimulating but not designed to be nasty statements I made. Your current position indicates that you are not catching what I am throwing towards you. I totally believe that you personally do not think this was made by Washburn. I also totally believe that it was. You have not held or seen any of these guitars advertised for sale out there. And as of this moment I have found a total of 5. Sorry to say this but for real you missed that the ones you mentioned were 2 completely different guitars. My only aim was to perhaps say something that would allow you to understand each and every one of us can possibly make erroneous judgments. Especially when we are looking at photos alone. This includes me. No doubt you are correct in that people are much more dishonest in todays world than I am accustomed to. Which is exactly why I will not publish all the things that make me think this is a Washburn. And I have seen a few fake guitars, almost all Fender but a few Gibson's and a very few others. 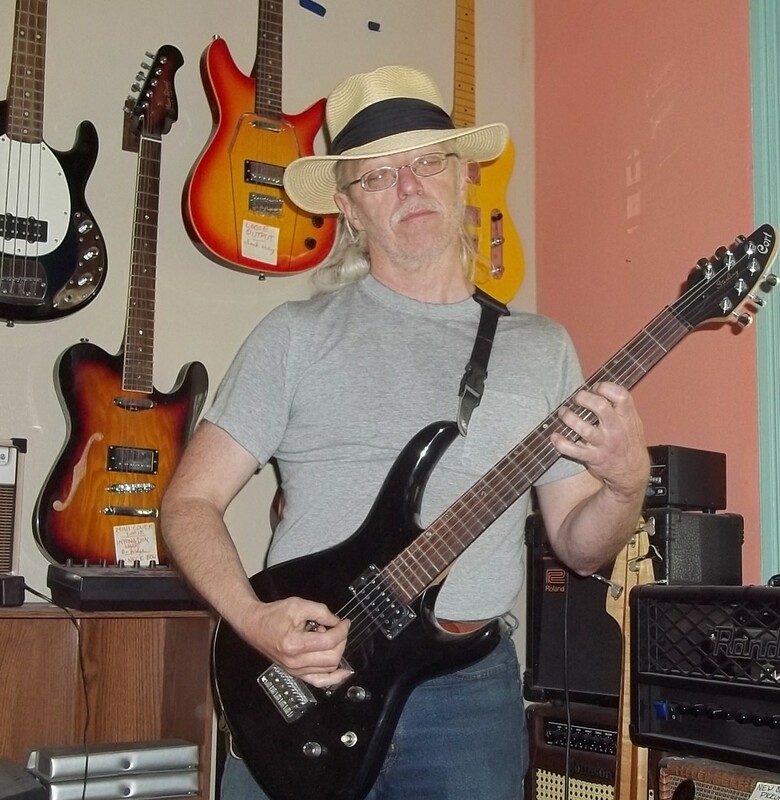 As I am not the original purchaser I can only go by markings on the guitar, one which I mentioned the others I did not, and the original purchasers paperwork. There is no indication what so ever that this is any thing other than a Washburn Guitar. On the other hand this and the others could be very elaborate, expensive counterfeits. Which makes no sense at all, in general they counterfeit much more desirable, main stream guitars and they do it in the cheapest way possible. The fact that there are others out there is a fair indication that they are real. But not a definitive indication. I have to make my judgment based on what I have and what I see. the salient point here is I actually have the guitar and documentation in my hands. You do not but if it at all possible I am completely willing to drive a considerable distance to allow you to see things in person. Photos are not a good thing for this purpose. "Introduced in 1912, the model number 3150 boasted an all-pearl fingerboard, nut, saddle, tuning pegs and bridge pins, plus extensive inlay and marquetry." "some of the companyâ€™s design ideas seem bizarre, others prescient. The Washburn model 804 lyre guitar had upper-body bouts that extended all the way up to the headstock. The company also produced some early doubleneck models under the American Conservatory sub-brand. A somewhat grotesquely large-bodied â€œMonster Bassâ€� guitar was manufactured as well. There was no shortage of innovative ideas, a tradition that continues in the Washburn guitars of our own time. " From Guitar World History of Washburn. I made a living for around 10 years before I retired buying guitars for a few investors. If this is a fake it is the only one I fell for. My habit is research something to death before I make decisions. I cannot expect others to do the same, but I can ask that they consider what they say before they say it and try to present ideas that may show them why that is a good idea. I do understand that long writings like this are a thing of the past for most. Being a product of that past it is how I write. And how My words are put together. Can you get my email from my profile? I am not very savvy about forums etc. it isn't nice to ridicule or result the guitar and owner... it is true Washburn history is not always clear... many catalogs on models made are missing and can no longer be found. I don't know if vintagewashburn web administrator has the information but you can ask darren@vintagewashburn.com about the 'Red Eagle' custom guitar... maybe he can confirm if it is real. check your serial number.. to know when it was made. I contacted Washburn regarding this guitar. They said they do not maintain records of every guitar built and there are many single guitars, experimental guitars, prototypes that never make it to production, guitars designed by buyers and other scenarios regarding this made. That in the past it was possible to buy directly from Washburn custom made guitars but not at present. In general those guitars were not tracked. "How can I date/identify my Washburn instrument? be deduced from the first few numerical characters in the serial number. Either the first 2 digits, or the first digit, are typically used to identify the year of manufacture. visiting our guitar archives reference pricelists/ catalogs. Instruments with serial numbers that have 5 characters or less are typically from the 1980's. Instruments with serial numbers that have 4 characters are from the 1970's and early 1980's. For instruments produced after 2010, usually the first 4 digits can indicate the year of manufacture. There is no serial number information or tracking capability for pre-1978 models. its exact age. We recommend visiting our Guitar Archives and viewing the annual catalogs to find the closest match. photograph and serial number. We cannot guarantee that we are able to date your instrument." "How do I get replacement parts for my instrument? Washburn tries to use as many standardized instrument parts as possible, to make field-service easier. Most technicians capable of performing repair work have easy access to them, via a variety of instrument parts dealers/suppliers. For do-it-yourselfers, we highly recommend any of the following aftermarket guitar parts dealers, as they offer the most variety and stock. Please note that they cannot identify a part by the guitar model, just the style/measurement of the part you are looking for. Most service technicians in the field have standardized parts readily available from the above suppliers. In the event that the part you are looking for is specialized and unique to Washburn Guitars, please contact our Support Department at 1-800-877-6863. We may require a picture of the defective part to ensure availability." I sold the Guitar to a person who knew exactly what it was. I will say, now that that person owns it and does not care if I mention this here, that in addition to the neck heel markings mentioned in these posts there is a oval shaped sticker saying 'Washburn Custom" with a 5 digit serial number and what looks like a persons initials written on it on the neck pocket. Anyone willing to do a bit of research can easily find a lot of wild looking Washburn's made in the past. Many covered with inlay, Many with rather large upper bout extensions. I caution any person to be absolutely sure of what they say as to a particular guitars being a "real" Washburn, indeed regarding anything. I have never seen a counterfeit Washburn, although no doubts they are out there. Too much effort for too little return. I personally really like Washburn's and still have a number of them. Again please excuse my writing style and use of words. I am a product of the old educational system and this is how many of us write and speak. It has been interesting to communicate with you all here. IBM has a really good slogan, very simple and quite profound. That slogan is "THINK". Wow, I have been gone for over a month, and this guitar post still has legs. Tom.